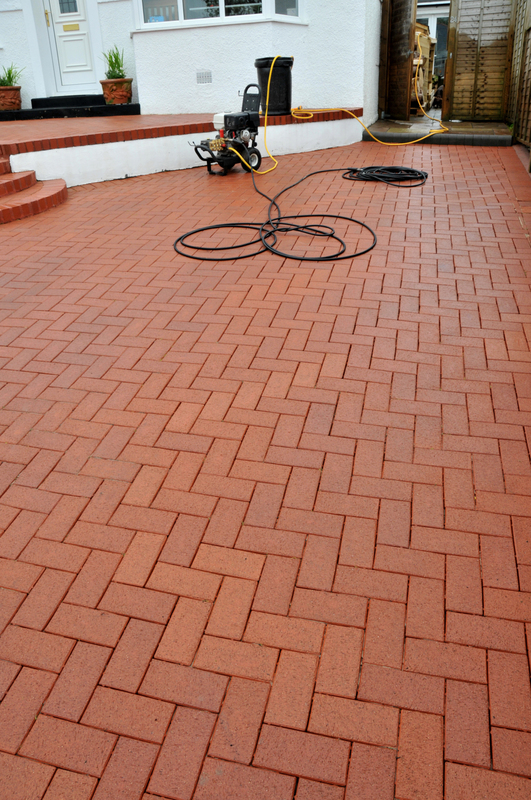 We operate our pressure washing system with a professional floor tool which stops debris from making more mess. 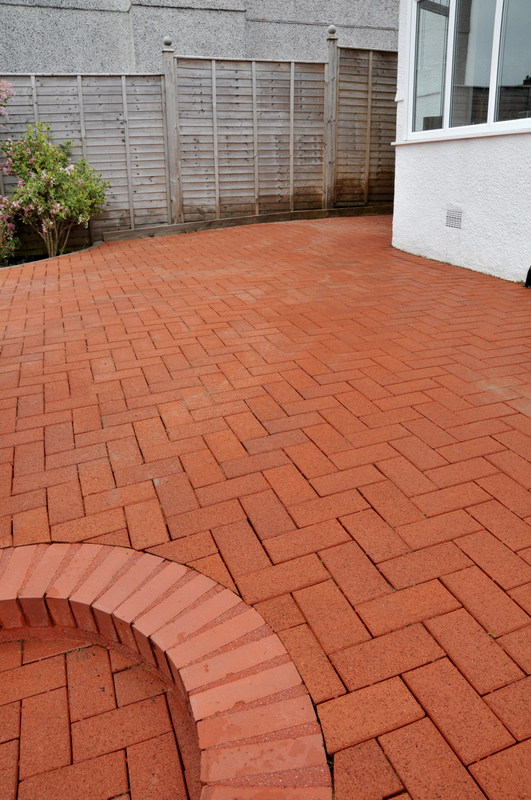 Our machines include a powerful 3000psi petrol pressure washer, which gives a professional deep clean and has seperate floor attachment tools which enables us to clean safely with minimal flying debris. 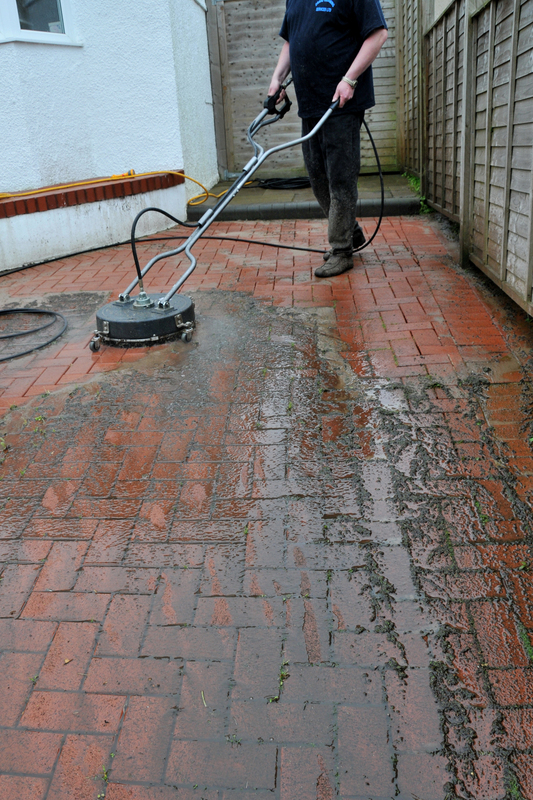 This floor attachment is very good for cleaning moss from block paving as illustrated. Contact us today on Tel: 07802 458641 to find out how we can help you.